Marc Weidenbaum is a music journalist, and author of the 33 1/3 book on Aphex Twin‘s Selected Ambient Works Volume II, publisher of webzine disquiet.com, and curator of the Disquiet Junto. You buy a new album. Describe your routine and experience of its first listening. I’m not sure I have a routine, aside from listening to it as soon as possible. Most of the music I purchase I do so digitally, and when I purchase physical albums (CD, vinyl, cassette) I generally do so online. The latter often come with a download code, which means I have a digital copy before the physical copy even arrives in the mail. In fact, the most recent cassette tape I purchased — at a record store across town — came with a download code, and I downloaded it to my phone while taking the bus back home. Come to think of it, I only have a cassette player at my office, not at home, so it’s a darn good thing the cassette had that download code. Otherwise I would have had to wait a few days. Anyhow, I purchase music in such varied circumstances, I can’t say I have much of a ritual, again aside from listening to it as soon as possible. I will add that the more excited I am about a release, the more I try to diminish my expectations in advance of hitting the play button. One genre-specific ritual I have is that I listen to a lot of film music, and I try to listen to a movie’s score before I go to the theater to see it. A side note: I get an enormous amount of music for free, because I write about music and work with musicians, which means my inbox and my mailbox are inundated with, respectively, zip files and packages. I have music playing most of the day, less so in the evening. When I’m intrigued by a piece of music, I’ll often put it on repeat, sometimes for hours. 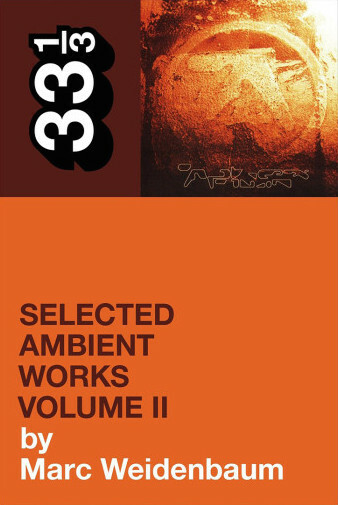 The most extreme version of this is when I wrote my 33 1/3 book on Aphex Twin’s Selected Ambient Works Volume II, which took about a year, just about every day of which I listened to one track off the record over and over. I like to listen to music in lots of different contexts. The primary places I listen to music are at my desk at home, at my desk at my office, in my living room at home, in my kitchen at home, while walking, and while on the bus. If I had to choose one favorite, it’d be wearing headphones while alone on the bus, enjoying the clarity that headphones provide, and the way music shapes everyday experience into a narrative. There’s nothing like taking a mundane bus trip while listening to a score fom a science fiction film or a thriller. How does one make their listening listened to? To take a step back, I should clarify my sense of the word “listening,” because it happens to be a word I use a lot. I teach a course on the role of sound in the media landscape at an art school, and I spend the first three weeks of the 15-week course discussing listening. To me, listening, clearly, applies broadly to the everyday experience of being in the world, of hearing the world. In fact, it’s hard for me to separate that sense of the word from the more specific context we’re working with here, where we’re mostly talking about listening to music. That said, there is, I think, a helpful transition from the “active listening” that I think of in regard to everyday life, to listening to music. There are lots of ways to make one’s listening listened to. I’ll describe four here, the first three of which I participate in, and the last being one I like to observe. A. Dorm Space: For me, the single best social scenario for listening to listening to music — when my listening was listened to — was back in college, and it’s probably not repeatable in my daily life as an adult. I had a single dorm room my junior and my senior year, and I was always listening to music when I was in it. It became my habit in senior year to just leave my door open, and invariably people would walk through the hallway, hear something, and come in. There were frequently two or more people in my room in addition to me, listening to whatever I was listening to, sometimes while I was doing my homework. I think my listening then was kind of “performative.” I would talk about what was playing, move back and forth between records. My dorm room was like the world’s smallest radio station, one that broadcast only a few feet beyond the station’s doorway. B. Radio DJ: I also DJ’d in college, in the radio sense of the word “DJ,” and I think DJing in that radio sense of the word is a fine example of having your listening listened to. I had a jazz show that was pretty straightforward, and a classical show, which was a mix of contemporary music and ancient vocal music, and where the two things often met — Pauline Oliveros’s Deep Listening and Steve Reich’s Tehilim feel very comfortable next Byrd and Palestrina. I also did a more freeform show, which would broaden the classical material to add in pop and rock that smacked of minimalism: My Life in the Bush of Ghosts, Brian Eno’s solo ambient stuff, lots of Robert Fripp, Fela, King Sunny Ade, and so on. Making connections between those records, whether simply by playing them in sequence or commenting on them after one track ended and before the next began, was a way of putting those connections in the listener’s head as to what I heard in the music, what I was listening to, listening for, in the music. C. Music Criticism: I have written about music since I was in high school, and I think of writing about music as a means to express what I hear. It’s the primary way that I express my listening. This is recursive. To write about music, I need to think about my own listening — I need to listen to my listening — and that reflection then becomes the raw material for what I write. The single best advice I ever got in regard to writing about music was to use the writing to help explain how to listen to the music — not that there’s necessarily one way to listen to a piece of music. D. Music About Music: All bands, the saying goes, begin as cover bands. This isn’t to say that every band is literally a cover band, performing some other band’s songs. What it means is that all bands begin with their influences plainly apparent, perhaps as homage, often as denied imitation, and then the good ones proceed over time to develop their own identity. Much music is built from pre-existing sound: sample-based hip-hop, quotations in jazz, electronic music that employs field recordings and presets (presets being audio and other tools that come as part of digital instruments). Just because the source audio remains evident in some of this work doesn’t mean that the artist has not fully consumed the material. But stepping back from even the most artfully assembled piece, like Steve Reich’s “It’s Gonna Rain” or the Dust Brothers’ production of the Beastie Boys’ Paul’s Boutique, one has the opportunity to hear how the musicians hear, what it is they listen for, what sorts of sounds register with their ears and align with their creative impulses. If you listen closely to their acts of sampling you can listen to them listening.